This build was ultimately a bit overkill but what my family wanted was a compromise between power for 4K gaming, presenting, and streaming 4K content. This build's purpose was our first step into just having one pc for all our content and getting ready for removing our cable plan. Building it was kind of frustrating at times but nonetheless, worth it and a success. The PC is set as in a living room setting. Parts run down & explanation: CPU: Intel Core i5 8600K - There is no real big reason why we decided to get this CPU but I thought it was a good middle ground so we didn't break out wallet for an unlocked i7. Plus the CPU was bundled with the motherboard at Microcenter so we got 50 dollars off both the CPU and motherboard. 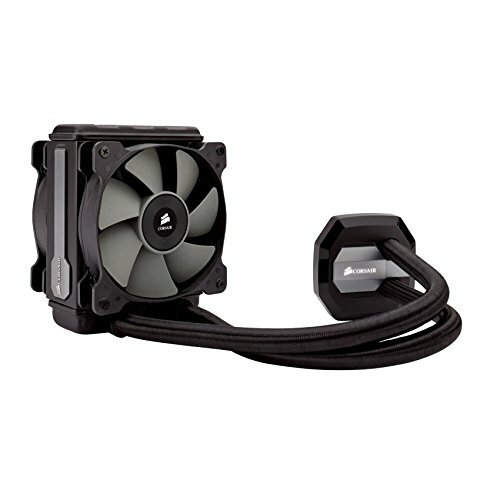 CPU Cooler: Corsair H80i v2 - I personally trust Corsair's products and that goes for the cooler, we wanted something quiet and would keep the CPU cool in a small area. However, the tubing was really stiff and I know the radiator is in a weird place making the tubing flex a bit more than I am personally comfortable, however it appears to be fine which I am okay with. But I don't have enough experience to know if the flex and bend currently on the tubing is too harsh or if it's okay so if you like, please state your opinion or experience about the tube bending in some of the pictures above. Motherboard: Asus ROG Strix Z370-I Gaming Mini iTX - Motherboard has what we need, SPIDF port, decent placement for 24-pin, 8-pin, and USB 3.0, a 3-pin Addressable RGB Header (sadly not 4-pin), 2 M.2 ports for expansion later down the road, etc. Plus it was 50 dollars off. RAM: Corsair Vengeance RPG Pro 16GB (2x8) - We definitely could've saved money here without the RGB but we got that dual sided tempered glass side panel to show off some lights. 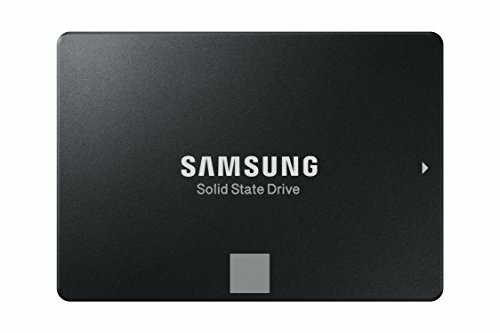 Storage: Samsung 860 Evo 1TB SSD - My father wanted enough space for all the current games, our array of software, and archive. 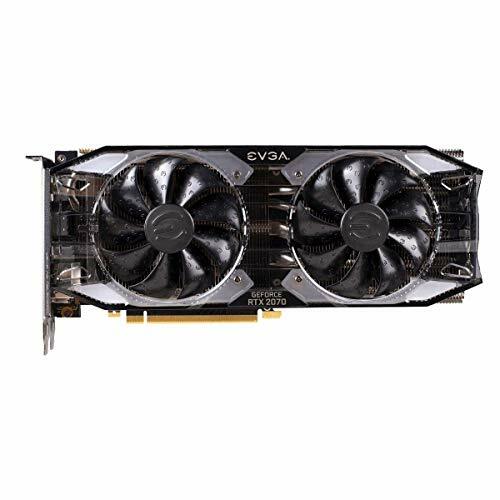 GPU: EVGA GeForce RTX 2070 XC Gaming - My family isn't heavy on gaming but my father and I wanted something that would allow us to game at 4K comfortably without sacrificing too much quality or money. Also we may get a VR set-up in the next upcoming year so I feel as if this GPU is a good buy. Case: Phanteks - ENTHOO EVOLV SHIFT Mini ITX Tower - When we were looking for Mini-iTX cases this one really just stood out to everyone despite it being as tall as a regular tower as a plus it could be mounted on its side and that's what we did for the setup. PSU: Corsair SF 600W 80+ Gold Power Supply: Wanted some headroom for power so we opted for this power supply. In the future we plan to get a wireless gaming keyboard and mouse (so far what I've decided on is the Razer Turret but I'd like to hear from you), and a NZXT Hue 2 Ambient Lighting Kit. Excellent build and photos! Personally I'd stay away from Razer as everything is jacked up in price but to be fair I don't know any other wireless keyboards. Thank you! And yeah, I completely understand but the Corsair K65 Lapboard is just so wide and large for the living room. I'm in the process of building something very similar. I was just looking through builds with the RTX 2070 and saw my case! How's it handling the the cramped space? Interested to see what keyboard you end up with. Thermals are still okay ranging from high 50s to low 80s in Celsius, however I've had to RMA that GPU a week after it was built because something was causing it to crash the whole system when you put stress onto it in like 1-5 minutes. It's weird, the card handled the latest triple-A titles pretty well at 4K with the temps listed above but only a week later did it start crashing the system. I've tried the RTX card in my personal ATX tower system and the same thing happened which has led me to believe it was just the GPU and not an issue of thermals. HOWEVER, I've seen plenty other builds in this case and I'm already in the middle of rotating the RAD pumps to face the front and then add another 140mm intake fan in the front-bottom area of the case. I've built an almost entirely similar build to this with the exception of the Mobo being ASROCK z370m itx a/c. Interestingly I've had the same problem with my RTX 2070. Works fine under strain for a bit and then starts crashing the system. Crashing to the point that I was BSOD on startup. Re-installed windows, all drivers, all BIOS, and nothing worked. Disconnected the GPU and ran the system straight from the Mobo and it ran fine. Then used a friends GTX 1080 to test and it was fine. Sending back the GPU today, but I wanted to ask if your replacement worked or if you think the RTX 2070 has some kind of compatibility issue. Yes, replacing the GPU fixed everything. I don't know why the GPU would crash but from what I've experienced and seen when the GPU crashes the system, so the artifacting, freezing, and such is very, very similar to the 2080ti crashing and failure problem not too long ago. Nice build! I am also looking forward to building similar system. I have not decided on all parts yet. I am also considering this case: Silverstone FTZ01. Have you looked into that case too? I am a bit sceptical on the GPU temps, 80C sounds a bit too much or you have not adjusted the fan speeds yet? What about Asus Turbo GPU? Blower style would be cooler? What would you do differently if you had to do this again? So from what I've seen from of the Silverstone FTZ01 you can fit some 3-fan GPUs and will support most GPUs what I would watch out for is the thickness of the GPU. As far as Open-air vs Blower style I feel as if both are viable options in the FTZ01. However, what I see with most open-air cards inside the case are fans oriented as in-take mounted in front of the GPU so the fans facing each other blowing air onto the GPU. For my family, we definitely looked into this case but they wanted something more eye-popping but at the same time would blend nicely into the living room setting. We had 3 cases out of 7 that we picked to choose from which were the Silverstone FTZ01, Fractal Design Node 202, and the Phanteks Shift. 80C is pretty normal for GPU temps what's not normal is anything over 90C. Doing a little research shows that a majority of people say 80C is fine and is normal operating temperatures for GPUs. Also, I put another fan in the system and the GPU now idles at about 37-40C and under load will go to 76-78C. For Blower Style vs Open Air Style in the Shift you have enough room for an open air style GPU and cool it pretty easily since 2 140mm fans can be mounted in the front. What I can imagine as the reasoning behind not having blower style card is that hot air would be choked at the top since the top closes plus the radiator is in pulling air from the case and pushing it out the bottom, but both styles can be used in the Shift just watch out for GPU thickness and GPU length plus the thickness of your radiator. Something that a lot of people have mentioned is using hybrid GPU too. But blower vs open air really depends on the case for example the Node 202 is small enough that if you use an open air GPU you'll probably pollute the air around your CPU which cannot have an AIO fit in the case (I'm pretty sure) and not that many people can do custom tubing so blower style will probably be the better option there. Again for your case that you are thinking about I see plenty more builds using open air GPUs than blower style and I don't know the exact reasoning why. Building in the case was so punishing because of the cable management and the tightness of the cables going into its respective connector that it feels like I can't unplug them anymore. Plus doing one thing in the wrong order (One of the GPU mounts is held in by a thumb screw below the motherboard slot and with the 24-pin cable, 8-pin cable, USB 3.0 header, and the SATA L-connector in the way, accessing that one thumb screw was so hard.) And the fact that I had to RMA my GPU (one week after it was built and doing fine before then) for a lot of the same reasons the 2080ti people were experiencing was just so frustrating but it allowed me to take a closer look at my job at cable managing and redo the management plus add some nice Corsair LL140mm fans. It showed me that building in an ATX case is so forgiving and that I shouldn't have rushed into actually building it like as if it were an ATX case. In the end, I would LOVE to do it all again knowing what I know now and that building is honestly just a lot of fun plus worth it! Sorry for super long message hah! Hope to see the ITX build from you! That's some new lvl **** r there... Nicely done! I just saw it, the tube bend is real clean on yours! 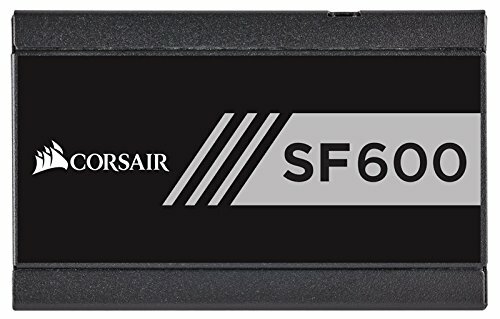 Also I noticed you have the corsair LL series fan, where and how did you mount the controller or hub for the fan or did you connect it straight to the usb 2.0 header? Corsair also has a decent wireless mouse, that is charged from the pad itself which is pretty neat. Corsair mm 1000. Can I see benchmarks for 1080p, 1440p and 4k, appreciate it the results! Sure! So I did my tests on 5 games: Rainbow SIx Siege, Forza Horizon 4, Battlefield 1, Ghost Recon Wildlands, and (luckly I was able to get it) Battlefield 5 with DXR off and on with settings all in the High to Ultra ranges (if it is a mix of settings then it's what I prefer to play at). Battlefield 5 was really interesting to see but I might lower my game settings to no DXR with a mix of high to ultra settings. thank you TheyCallMeKuya this will give me some perspective on next GPU purchase!